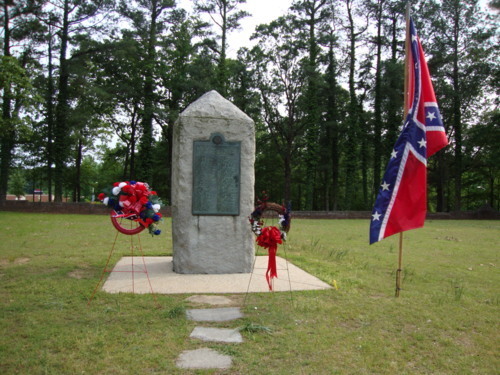 Decoration Day was started right here in Mississippi by the United Daughters of the Confederacy, as evidenced by a song published in 1867, which was entitled “Kneel Where Our Loves are Sleeping,” and was written by Nella L. Sweet. The hymn carried the dedication: To the Ladies of the South who are decorating the graves of the Confederate dead. After WWI, the name was changed to “Memorial Day,” and in 1971, it officially became a national holiday. It was on this date in 1861 that Virginia officially seceded from the Union. At the time, West Virginia was part of the state. It didn’t break away until 1863, because sentiment in the western part of Virginia leaned toward the Union, whereas the eastern section went with the side of the Confederacy. Virginia’s Ordinance of Secession was passed at the State Capitol in Richmond on April 17, 1861, subject to voter ratification. On May 23, 1861, the referendum confirmed it by a vote of 132,201 to 37,451. It’s common knowledge that many of Virginia’s sons were torn by their loyalties. 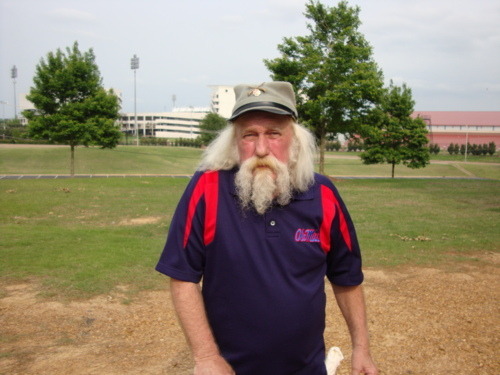 Probably the most famous is Robert E. Lee, who served as a combat engineer in the United States Army for 32 years. Although he denounced secession, once his home state of Virginia left the Union, he turned down an offer from President Abraham Lincoln to lead the Federal Army and resigned his post to serve for the Confederacy. The rest, they say, is history. The list of songs created during the War Between the States is almost endless. As Ken Burns said in his documentary, “it was a singing war.” On many occasions, the Confederates and Yankees would find themselves camped on opposite sides of a river, where they would exchange songs. Inevitably, the bantering led to “Home Sweet Home.” When the song ended, quiet remorse followed. The Civil War spawned such great songwriters and composers as Stephen Foster, (“Camptown Races,” “Beautiful Dreamer,” “Genie With the Light Brown Hair,” and “Oh! Susanna,”) as well as Henry Clay Work and Daniel Emmett. Songs ranged from patriotic compositions to marching songs, melodies about political figures to spirituals. Music was an important release for soldiers, who carried along their harmonicas, banjos, drums, jaw harps, guitars, and violins. Many made their own instruments out of bones, cigar boxes, tree branches, or whatever else they could find. Songs were sometimes taken from old traditional melodies, and several variations of a song were frequently invented with new lyrics written for whatever occasion presented itself. The governor of Mississippi, Haley Barbour, recently proved just how politically correct he can be, regardless of the real truth, and displayed his lack of integrity as he goes after his bid for the White House. Governor Barbour made it publically known that he intends to veto a controversial bill should it cross his desk. The bill in question would allow the Sons of Confederate Veterans to honor Nathan Bedford Forrest on a state-issued license plate tag. The tag would be issued for one year as part of a four-year series to mark the 150th anniversary of the Civil War. Obviously pressured from the NAACP, Governor Barbour is declining to take facts into account, and is instead jumping on the ignorance bandwagon. Too much assumption is being placed on the idea that General Forrest was an original organizer of the Ku Klux Klan. This has never been proven. In fact, it is merely a rumor, and General Forrest adamantly denied any association with the KKK. However, Governor Barbour is too narrow-minded and/or short-sighted to acknowledge it. Perhaps he should make the effort to learn more about his own state’s history and people before he pursues career advancement. 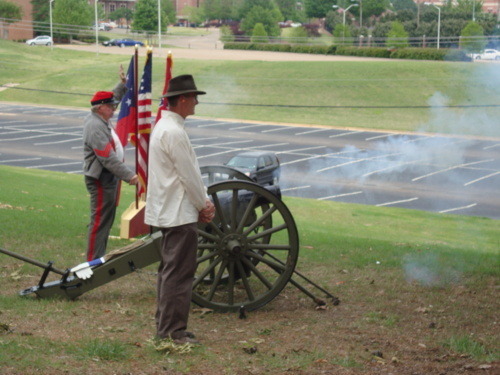 Last Sunday marked the 150th anniversary enlistment of the University Greys from the University of Mississippi. 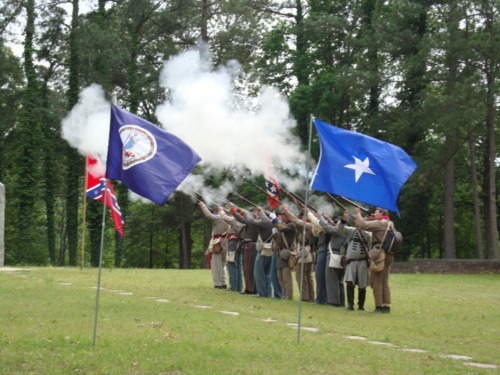 To commemorate the event, members of the Sons of Confederate Veterans and the United Daughters of the Confederacy congregated, as well as members of the public. 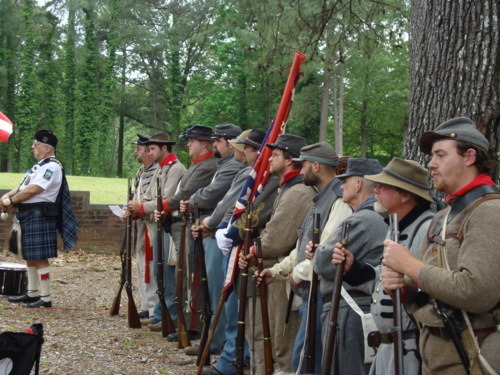 A history about the University Greys during their tour of duty in the Civil War was given by Starke Miller, who is the University Greys historian from Memphis. The ceremony also included performances by the Forrest Highlanders and an excellent bluegrass band. Following the ceremony, reenactors departed for the Oxford train depot (just as the original soldiers did in 1861) while the rest enjoyed catfish and barbecue. Last Sunday, May 1, a memorial service was held on the campus of Ole Miss (University of Mississippi) in Oxford to honor the University Grays. This company, part of the 11th Mississippi infantry regiment, enlisted in the Civil War in 1861, exactly 150 years ago. Nearly every man enrolled in college that year enlisted (135). Only four reported for classes, so the school was temporarily closed. Over the course of the War Between the States, the company went through nearly every major battle. The most famous was at Gettysburg, where the University Grays participated in Pickett’s Charge. Sadly, 100% of the company became casualties. 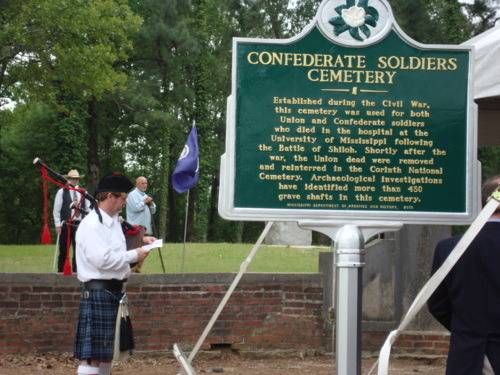 On campus is the cemetery where soldiers who fought at Shiloh are buried. They were sent from the battlefield to campus buildings, which were used as hospitals. Each grave had a wooden marker, but one day, a crew was hired to mow. To minimize their work, they moved all the markers, and when it came time to replace them, the crew had no idea which marker belonged where. Needless to say, the cemetery is now filled with unmarked graves. One lone monument stands in the middle with a list of names. However, the list is woefully short. 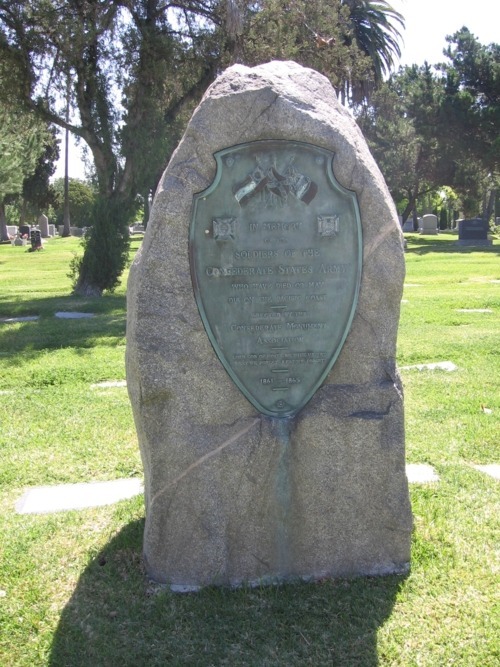 A computer scan of the area determined that there are 430 graves in the cemetery.